Easy to get lost there. so fun to be silly! How cute!! That is an ADORABLE card!!! Thanks John – gotta keep it fun – right?! I was looking for something like this week- it looks like this would have been perfect. How cute and fun! I wouldn’t mind getting it myself! 🙂 LOL! This is deliciously cute Jodi!!! Who wouldn’t love a card like that!! This is hilarious! You gave my husband and I a good laugh! Yes, good friends are better than all the “Kit Kats” in the world!!! I love these! Yours turned out great and funny! love it. What a fun way to celebrate a birthday! It’s He-Man’s 62nd birthday today. 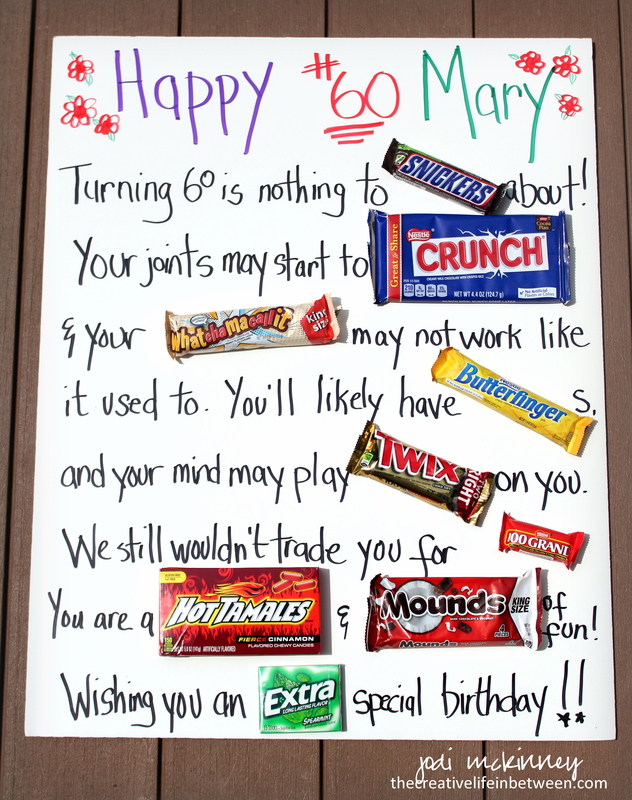 He’s a bit blue, he takes getting older harder than I do, so I’ve collected all the candy bars and am going to present a card like it to him tonight at dinner. I hope he loosens up a bit. 🙂 That 100 Grand bar was soooooo hard to find! I finally found one today! Awwh! Aren’t you sweeet!!!???!! Hope he appreciate and it cheers him up. Growing old is a gift (let’s try to convince ourselves – lol). 100 Grand might just be my fave candy bar – surprised it was hard for you to find… but so glad you did! 🙂 Happy Birthday He Man! He loves it!! He laughed and giggled, and has it set up so he can look at it for a few days. I usually place the birthday cards on the mantle, but this card won’t play nice with that tradition so it’s on the kitchen table for the moment.